Thank you to Clarkstown North Alumni, Nati Guillen, for not only facilitating our workshop on January 13, but also for creating a video to capture the positive energy of the day. Thanks to our band teacher for sharing this great resource! Mr. Andert has been working on integrating diversity into band program. Through his training and work with “The Dream Unfinished,” he is working to present more music from diverse composers in the music classroom. To use classical music as a platform to engage audiences with issues related to social and racial justice. Since its founding in 2014, TDU has staged over a dozen performances throughout Manhattan, Brooklyn, and Queens, and partnered with organizations such as the Center for Constitutional Rights, Black Women’s Blueprint, Justice League NYC, African American Policy Forum, and others. In 2015, The Dream Unfinished’s inaugural season honored the one year of Eric Garner’s passing. Its 2016 season, entitled Sing Her Name, culminated on the one-year anniversary of Sandra Bland’s passing. Future seasons of The Dream Unfinished will focus on the school to prison pipeline, solitary confinement, and gentrification. Thank you Mrs. Rickli for sharing this resource approaching discussions of skin color using descriptive words (much the way we would describe the color of the sky or grass), as opposed to jus racial constructs. For a link to the full article, click here. We are often “identifying” in our content areas, whether specific names for tubes of acrylic paint, or symbols on a periodic table. 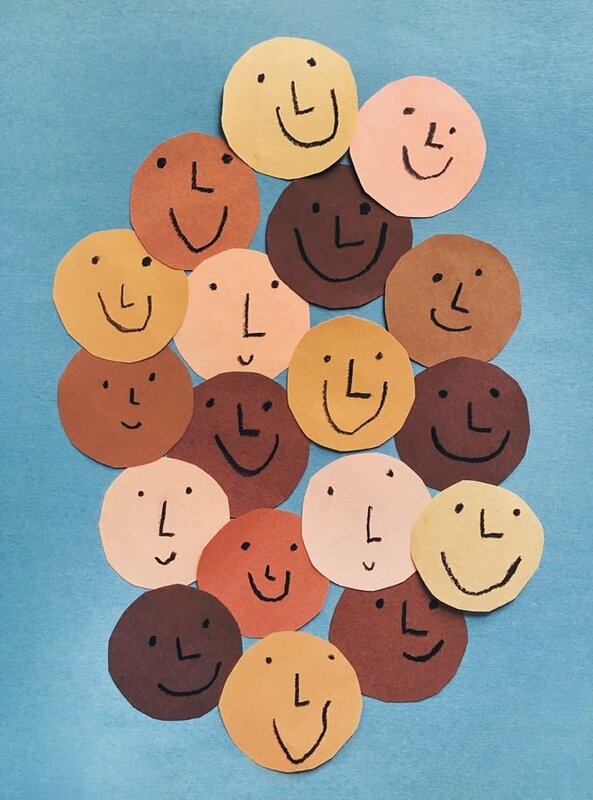 Perhaps when identifying topics come up, and he have discussions of symbolic vs. representational, we can weave the conversation of actual skin color vs. racially defined colors into our conversations. I never cease to be amazed by the power of students to connect across all sorts of barriers, if they are just given the time and space. Today 60 students, from ENL classes, VAASA, Student Council and World of Difference spent the morning together. In getting to know each other, they discovered not only how much they didn’t know about each other, but also how much they have in common.